We speak to Ross Bailey, Founder and CEO of Appear Here, about the changing role of physical retail. Billed as ‘the Airbnb for retail space,’ Ross launched Appear Here in 2012. Partnering with the biggest landlords around the country, the online platform connects empty retail spaces with brands and entrepreneurs looking to launch new ideas. As well as offering independents an accessible and relatively risk-free way to bring fledgling concepts to fruition, Appear Here has also given more established brands room to experiment and reach previously untapped audiences. We speak to Ross about how brands are seeing pop-up retail spaces as marketing channels, and using them to drive sales both on and offline. Was it challenging to convince landlords to adopt a new approach to the way they do business? Once a few of the big guys started using us, the rest of the property industry started to take us seriously. We now have nine out of 10 of the biggest landlords in the UK using our platform, and list over 1,500 spaces online across the UK and France. The average time it takes to book a space in the commercial property industry is 3-6 months. Compare that to 3-6 days with Appear Here (the current record is 12 minutes) and you can see how far we’ve come. How do you see the role of physical retail now? Physical retail needs to be about creating great experiences that can’t be replicated online, and allowing brands to build personal connections with their customers. Only 20% of Apple’s transactions are made in-store, but 80% have had an in-store experience first. Stores need to be a place where people can learn, play and share. Whether the transaction happens online or offline doesn’t matter. How are brands responding to the idea that experiences, rather than products, are paramount in these spaces? We’re seeing more and more stores launch with us that focus on creating moments, rather than simply pushing sales. Among my favourites has been adidas’ Futurehouse concept store, which was dedicated to bringing to the life the inspirations behind its new NMD sneaker and promoting its release to East London’s creative community. Inside the space the brand hosted exclusive talks with industry tastemakers, created art installations, screened films and held daily BBQs. While I definitely wasn’t their target market, I was seriously impressed when Benefit turned a townhouse in Soho into a bright pink 1950’s themed beauty parlour to promote its roller lash mascara. 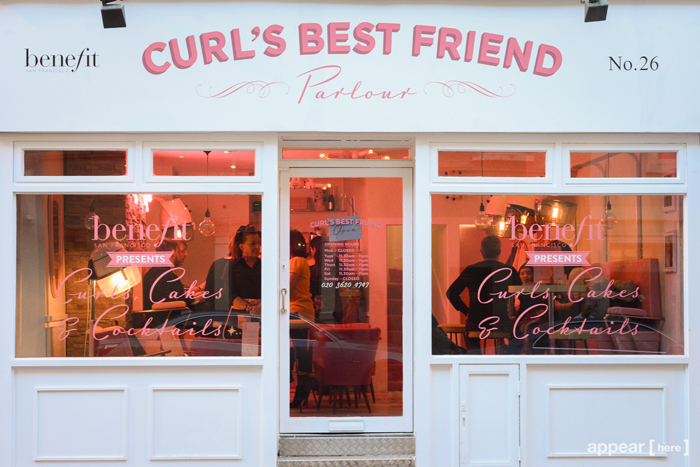 Every detail had been thought out to showcase the curl power of the new mascara, from curly straws in cocktails to the curlers in the hair of the girls serving them. What does this mean for traditional retailers? Traditional retailers need to up their game if they’re going to stay relevant. We see a lot of big brands using our spaces to test new locations or products. 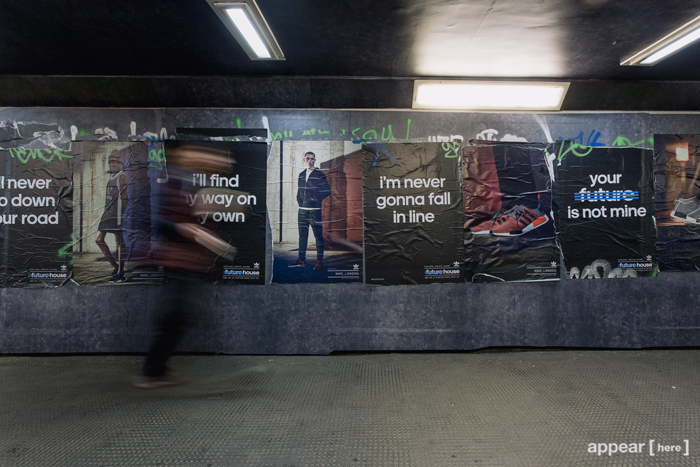 For example, last year French Connection launched a new collection and its first click and collect store in Old Street Station, to test out the service and the brand on an East London audience. Big brands have even used Appear Here spaces to launch “secret stores”, presenting their products in unbranded environments to change perceptions of the company among younger or cooler audiences. We’re also seeing larger retailers use our service to connect with new ideas. “In Residence” is a collection of exclusive retail spaces inside the world’s best stores. TOPSHOP Oxford Circus lists 20 concession spaces in store, and they’re using us to bring new experiences into the space. 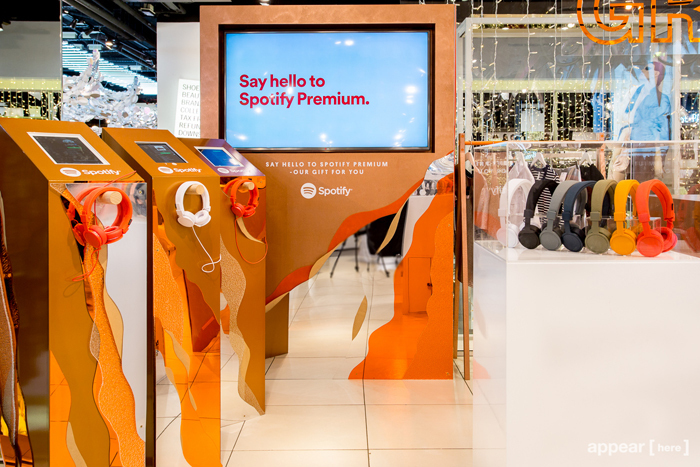 Spotify used the space to test its first retail experience, and independent retailers including Doisy and Dam, Suitcase Magazine and Wool and the Gang have also appeared.